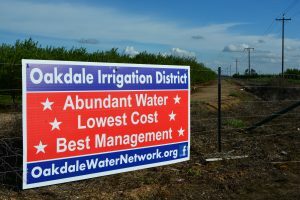 At one point during the conflict between the Oakdale Irrigation District (OID) and the Oakdale Groundwater Alliance (OGA), Judge Roger Beauchesne scolded OID attorneys for their use of ad hominem tactics, reminding them that personal attacks are usually attempts to hide weak arguments. But it turns out personal attacks were all OID attorneys could offer when the district’s fallowing program was challenged under the authority of the California Environmental Quality Act (CEQA). The court’s ruling was just the latest in a long series of setbacks for a water district that can’t adjust to twenty-first century realities, especially those requiring transparency and public trust. 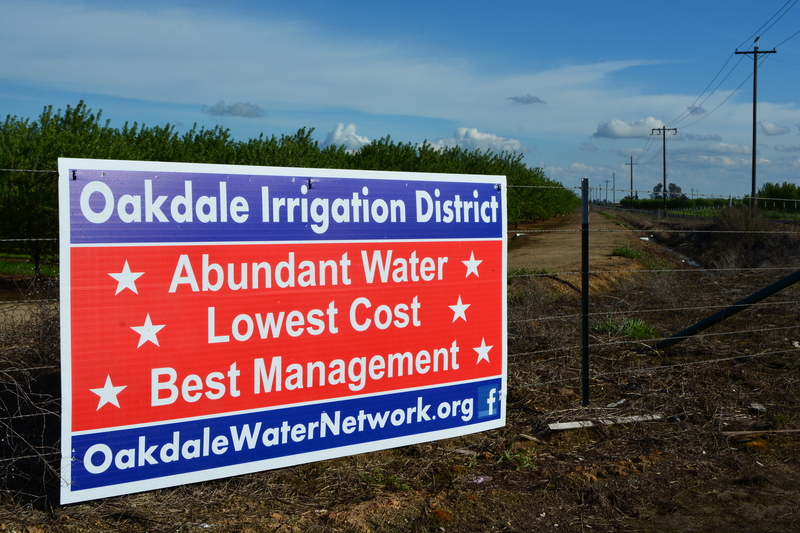 Signs all over the district read, “Abundant Water, Lowest Cost, Best Management,” but OID has consistently failed to measure up to its extravagant claims. This year’s attempt to bypass CEQA requirements wasn’t the first time OID management failed to perform due diligence. Back in 2015, the district’s fallowing program was halted when OID water attorney Tim O’Laughlin admitted, “We need a full-blown EIR.” In that same year, the Modesto Bee revealed that OID had failed to meet state and federal re-districting standards going back as far as the 2000 census. Coming as it does within the context of an attempt to recall OID Director Linda Santos, the defeat reveals OID’s pattern of personal attacks and false claims for what it really is—a clumsy attempt at misdirection intended to distract attention from the sleight of hand needed to conceal the true costs of OID’s business plan. OID’s claims of “abundant water” don’t account for pumping record amounts of groundwater, declining groundwater levels, a critically over drafted groundwater basin, and annexing megafarmers Trinitas Partners while turning away smaller local farmers. The “lowest cost” is true only when OID leaves out legal fees, reimbursements to farmers damaged by OID’s ongoing series of errors, and conversion of land to permanent crops. The greatest irony of all for OID customers is that Linda Santos has said all along she just wants OID to be open to public view and do things “the right way;” Had OID management listened to her, the district would have saved hundreds of thousands of dollars in legal fees. Instead, OID resorted to schoolyard tactics of name-calling and blame-gaming. The judge wasn’t fooled.